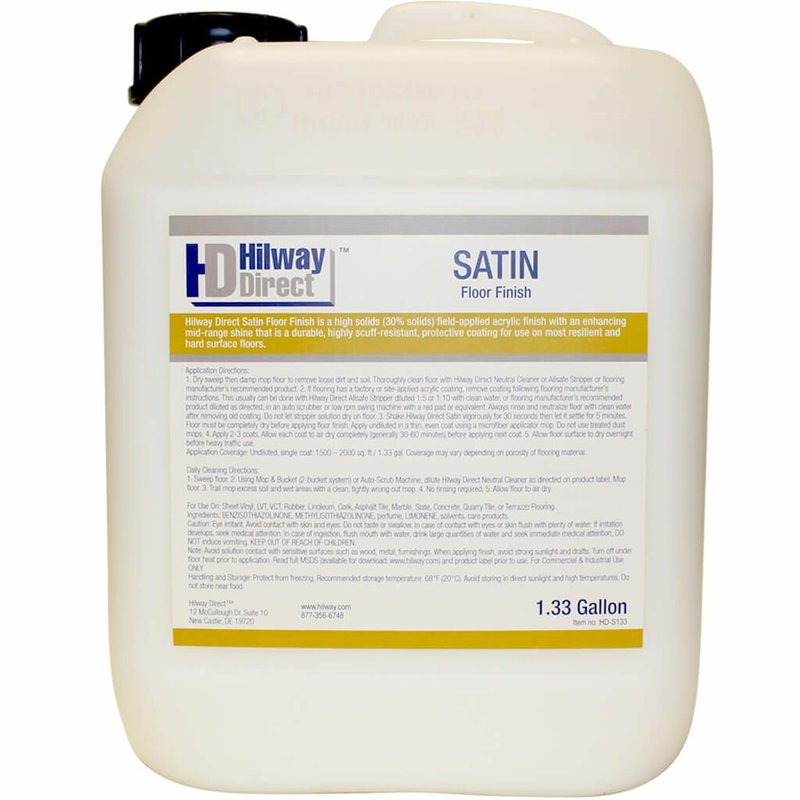 Hilway Direct Floor Finish (Satin) is a durable, protective floor finish that delivers a mid-range shine on resilient and hard surface floors including sheet vinyl, LVT, VCT and rubber. Hilway Direct Satin Finish, 1.33 gallons, is a non-hazardous, VOC-free floor finish that provides excellent wear in commercial or residential environments. Coverage: Single Coat: 1500-2000 square feet per 1.33 gallon container. Proper application requires two (2) coats. Coverage may vary depending on porosity of flooring material. Sweep or vacuum then clean floor thoroughly or remove existing floor finish coating as applicable. Rinse well with clean water to neutralize floor. Recommended Cleaning & Maintenance: Dust mop or sweep then clean with a mop or automatic scrubber using Hilway Direct Neutral Cleaner.